Panos is a partner in the Firm's Financial Industry Group. 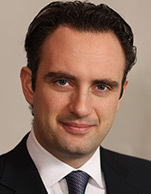 Currently based in Reed Smith's London office, Panos had a diverse practice advising U.S. and European-based clients in the entire lifecycle of alternative investment vehicles, including the establishment of new hedge funds and other alternative investment vehicles, the restructuring or liquidation of such vehicles or related investments, the structuring and documentation of transactions concerning new investments, corporate governance matters, and strategic advice with respect to disputes with investors, counterparties, and/or regulators. In addition, as a Greek national who initially received his legal education in Greece, Panos has a significant Greek-interests practice, focused on advising international clients with respect to investments in Greece or Greek-based clients with respect to their international legal needs. Panos has also been advising clients on issues arising out of the restructuring of Greece's sovereign debt and clients interested in the country's privatization programme. Prior to joining Reed Smith, Panos practiced corporate and securities law and litigation in the New York office of Shearman & Sterling. In that regard, Panos advised clients in several front-page litigation matters involving securities and accounting fraud, sovereign debt default and related litigation, internal investigations and corporate governance issues, M&A disputes, and other corporate matters. Following Shearman & Sterling, Panos served as in-house counsel for an international fund of hedge funds group. In that capacity, Panos gained substantial experience in the formation and structuring of hedge funds and other alternative investments, negotiating and executing financing transactions, derivative structures and ISDA documentation, and corporate governance issues.